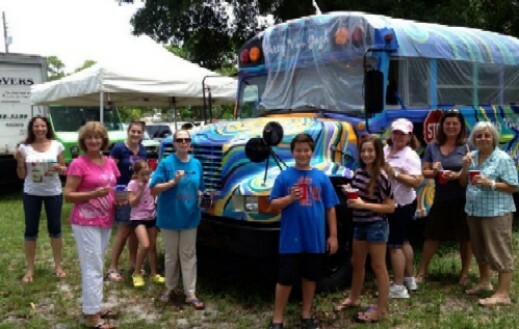 Artist and Tropical Heatwave Designs president Libby Hodges had a vision for making art activities and education accessible to more people, and from that desire came the idea for creating a mobile studio. 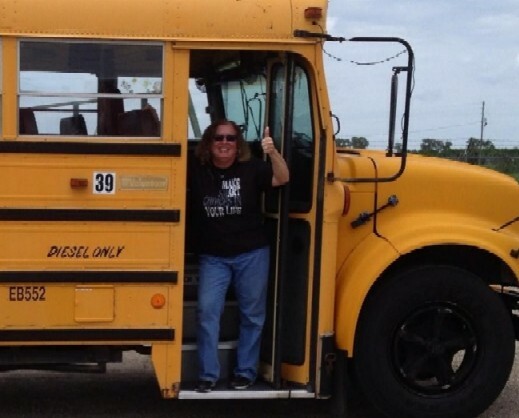 After some research and a bit of scouting the Internet, Libby found an International Navistar bus that had been retired from school service, but still had many miles left to go. 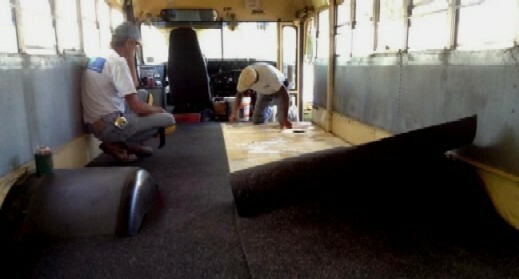 A team of dedicated, tireless volunteers under Libby's direction transformed the bus into Arty, complete with new flooring, work tables, seating and a paint job that turns heads wherever Arty goes. 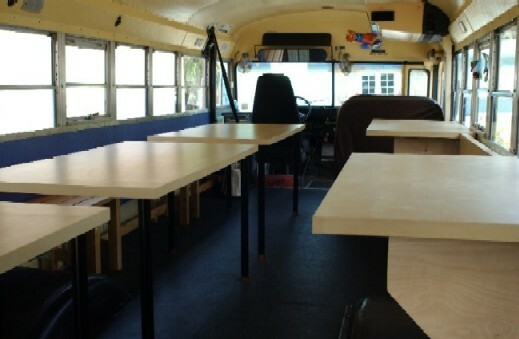 The plan for creating a mobile art studio started with making sure the space would be comfortable for students and functional, considering all the various activities and styles of art that Arty's fans get to work on. Arty is now fully outfitted with work space for classes, parties and special events in South Florida. For rates, party plans and other info, click here. Our sincere thanks to the volunteers who made the makeover such a tremendous success and fun project.